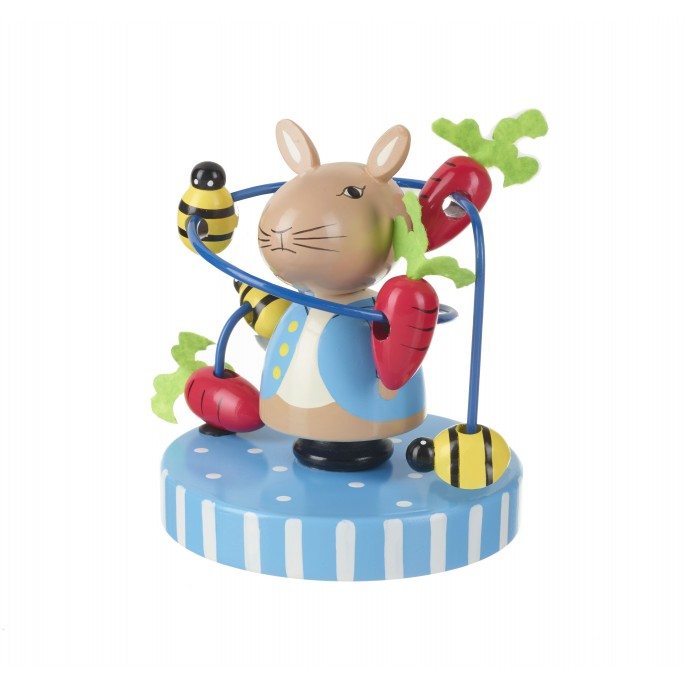 This bead frame, featuring Peter Rabbit is a perfect traditional toy for kids. Brightly painted in non-toxic paint. It has wooden beads in the shapes of radishes and bumble bees to move around. Designed to keep your little one entertained whilst developing their skills.